Type-2 diabetes is fast reaching epidemic proportions in the U.S. More that 17 million Americans have been diagnosed with the disorder and an estimated 16 million more are living with the disease, but have yet to be diagnosed. 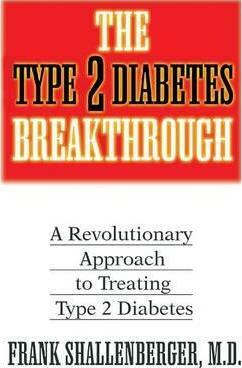 Dr. Shallenberger presents his revolutionary approach to treating Type-2 Diabetes and documents his extensive research, which shows that the root of diabetes is a decrease in energy production and fat metabolism. He describes his patented Bio-Energy Test for measuring energy production, an integral part of diagnosing and treating diabetes. At the core of his treatment protocol is his unique perspective on nutritional guidelines for diabetics for optimal energy production. In fact he explains why the American Diabetes Association’s dietary guidelines are nothing more than a recipe for keeping the disease.